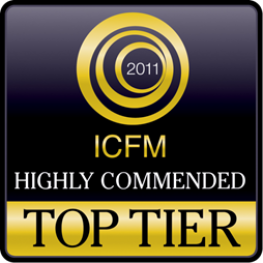 Your firm is receiving this notification as a recipient in the InterContinental Finance Magazine’s ‘HIGHLY COMMENDED – TOP TIER FIRMS – 2011′ programme. Your firm is considered to have performed to exceptional levels during one of the most difficult economic periods ever experienced. ICFM is a well respected global financial publication, covering all aspects of transactional activity. Your firm is considered to be worthy of being listed as one of our Top Tier advisors. This recognition is free, however there are promotional options available as we intend to create a special supplement carefully detailing each client and its area of expertise. We will also produce a digital page-turn version, this format can be placed on your website to compliment the printed copy. All participating firms will be incorporated in due course within the InterContinental Finance website, ensuring further endorsement of this achievement. Your firm will be at liberty to display the prestigious TOP TIER logo on your web site and any other marketing material. Further, participation of one of the profile options will afford your firm the opportunity to tell our readership about your firm, your areas of expertise and regions you support. The InterContinental Finance Magazine – Highly Commended – Top Tier 2011 information will be available to our readership for a full 12 months and will be utilised by our readership searching for partners on financial transactions.